Listen to "2 Why 'Local-Only' Isn't Going To Work" on Spreaker. In the midst of the farm-to-table movement, a lot of what we are hearing in the restaurant industry is talk about locally-sourced menus and cooking in accordance with the seasons. The concept, in theory, is great and all and it’s exciting for chefs when they are able to work with the freshest of ingredients grown in the farm down the street, but is this concept sustainable in every part of the country? 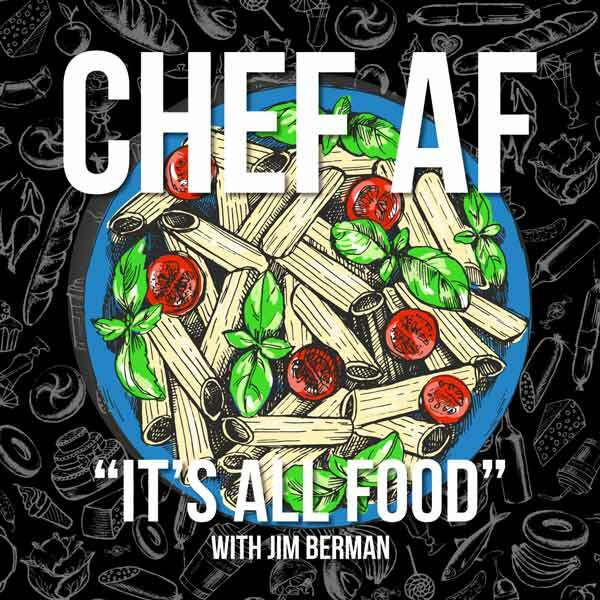 In this first episode of Chef AF, our host Chef Jim Berman sits down with Chef Hari Cameron, a semi-finalist for the James Beard “Rising Star Chef Of The Year” award in 2013 for his restaurant a(MUSE), to discuss why local-only isn’t going to work. They will chat about the reality of cooking with the seasons in certain parts of the country, best practices, and, even, how to strike a balance to keep businesses afloat. “If we only ate locally, we would only be eating hydroponically or really hearty meals...,” says Chef Cameron. Chef Cameron opened his Rehoboth Beach (Delaware) restaurants, a(MUSE) and Grandpa (MAC), in 2012 and 2015 respectively and found success with both concepts early on from their inception. “We were cooking food that was exciting to us. We didn’t know anybody was paying attention or even listening,” says Chef Hari Cameron. Listen to the podcast above to hear the full conversation about not only supporting the local community but the goal of cooking delicious food! 4:17 - So, why local-only as a concept isn’t going to work? 6:40 - How does Winter shape-shift your menu? 11:06 - What do you say to people who look to do local-only? 13:43 - How do you strike a financial balance to make your business work? 26:49 - What does hospitality mean to Chef Hari Cameron?